Most of us have had some experience with the big names in organic beauty products: There’s the old faithful FabIndia, the utterly decadent Kama Ayurveda, the funkier Ayurvedic range from Forest Essentials, good old Khadi, the lovely-smelling Blossom Kochhar’s Aroma Magic, the bounty from Organic Harvest, and the new-ish entrant VLCC. But it was this slew of newer, home-grown brands that impressed us with their smart packaging and pretty nifty combinations. All we can say is good for them– and really good for us! 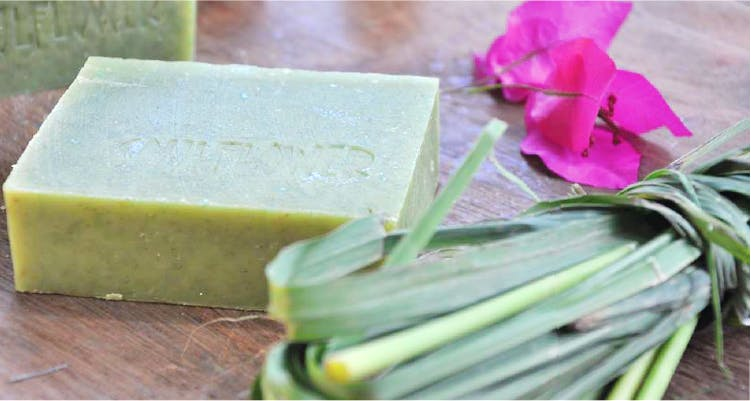 Well oiled in the production of all-natural essential oils, Soulflower has gone ahead and incorporated these beautiful aromas into their range of soaps and body lotions. The Charcoal You Smell Good soap acts as a scrub as well as a skin deodoriser and cleanser. The Happy Feet Soap with tea tree, peppermint and lemon peel sounds like just the thing after we’ve stepped into a puddle. With herbs, plants and flowers grown in their own farm or sourced from reliable growers, Iraya pays attention to how ingredients are sourced. Vegetable oils are cold-pressed, Ayurvedic oils are wood-fired. The mild stinging when we got shampoo lather in our eyes was a good sign that the lime in the Black Tea & Lime Shampoo comes from actual citrus. They also do soaps, oils, scrubs and salves that solve all our problems. This one looks like an apothecary! Other than hair care and skin care, they also do mineral makeup and a special line for men. We’re impressed by their Lavender Eye Serum, their cork-top glass bottle hair oils & shampoos, and their very waxy lip balms. Price: Lip balms start at INR 250, face care products between INR 475 and INR 950, hair care products between INR 550 to INR 1,890. With all-natural fair trade ingredients, biodegradable packaging and water-based inks used on labels and stationery, Omved is very very good. Other than soaps, gels, scrubs and soaks, they also do organic towels and natural hot/cold compresses. We tried one of their creams which was lusciously buttery and very kind to our skin.